For God was pleased to have all of his divine essence inhabit him. 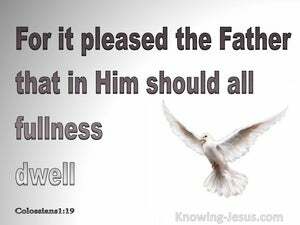 For it pleased the Father that in Him all fullness should dwell. 18 He is also the head of the body, the church; He is the beginning, the firstborn from the dead, so that He might come to have first place in everything. 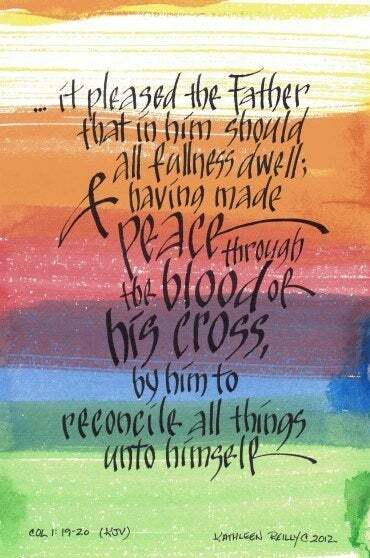 19 For God was pleased [to have] all His fullness dwell in Him, 20 and through Him to reconcile everything to Himself by making peace through the blood of His cross- whether things on earth or things in heaven. In that same hour He rejoiced in the Holy Spirit and said, "I praise You, Father, Lord of heaven and earth, because You have hidden these things from the wise and the learned and have revealed them to infants. Yes, Father, because this was Your good pleasure. 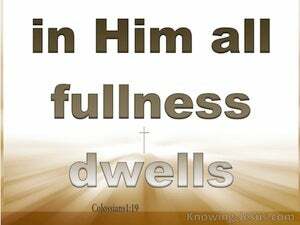 which is His body, the fullness of the One who fills all things in every way. The One who descended is the same as the One who ascended far above all the heavens, that He might fill all things.